The following is the speech made by Jitu Dhabessa on this year Irreechaa celebration at Wilson Botanic Park on 7 October 2018. Before we begin, we’d like to acknowledge the Wurundjeri people as the traditional owners and custodians of the land on which we are gathered and pay our respects to their Elders past and present. Sovereignty was never ceded and the process of colonisation and genocide that began over two centuries ago continues to this day. We’d also like to acknowledge our brothers and sisters who were killed during Irreechaa 2016. I’d like to thank them for their commitment to our culture and our people, and it continues to break our hearts that their lives were cut short by an oppressive regime. The Irreechaa celebration is as much an expression of joy for the lives we live, as it is a time for mourning for the lives that were lost. As many of you know, Irreechaa is a celebration where we give thanks to Waaqa or God for the seasonal transitions. Our Indigeneity is rooted in a connection to our land and nature, and all that the Earth gives to us, and so, we thank the Earth for providing us sustenance and shelter, for giving us rain when we face drought and the sun when the rain threatens our crops and cattle. This festival is an acknowledgement of this interconnectedness between us and the land, and of the fact that as long as we protect our land, the land will protect us. Irreechaa is a moment to reflect on what we are thankful for, our family, our friends, our community, health, and our culture. But more importantly, for me it is a moment of resistance, of solidarity and healing. 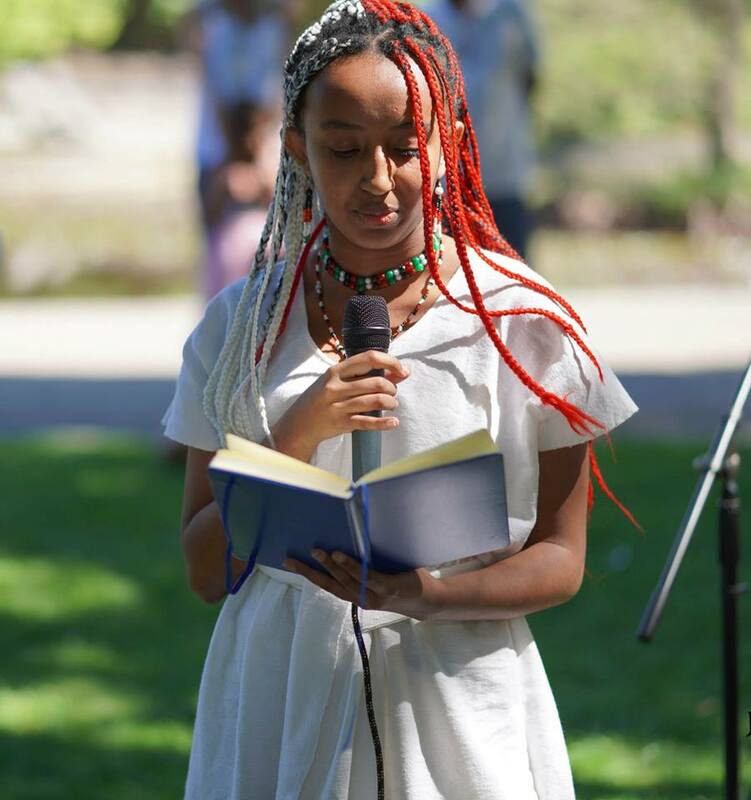 It is holding onto a culture that has been and continues to be vastly subjugated, and healing the wounds opened by those who aim to erase us, our culture and our being from both Oromo and global historiography. We celebrate this event as a show of solidarity and unity, a demonstration of strength regardless of differences in religion and politics. It is an understanding that unity does not mean unanimity, and it gives me hope that in the face of oppression and conflict, we will have each other. Before I finish, I’d like to address the Oromo youth and tell you I admire you all for your commitment to your culture and you inspire me to be more involved and give more to the culture. I know you do a lot for the community that is often uncredited so I’d like to thank you and give you credit for all you’ve done, are doing and continue to do. This is on my own, and the community’s behalf that we are proud.